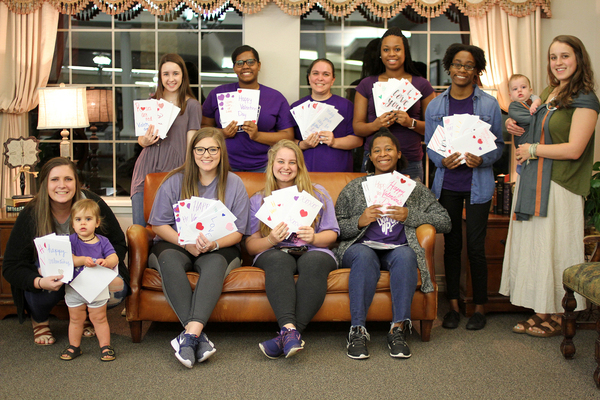 NACOGDOCHES, Texas - Members of Stephen F. Austin State University's Jacks Council on Family Relations created and delivered Valentine's Day cards to residents at Stallings Court Nursing and Rehabilitation Center. JCFR President Jaycie Case said this service was a way for students to express love to the residents and engage in the community. JCFR is a student organization that builds networks and helps families within the community by learning from each other and professionals in the field.